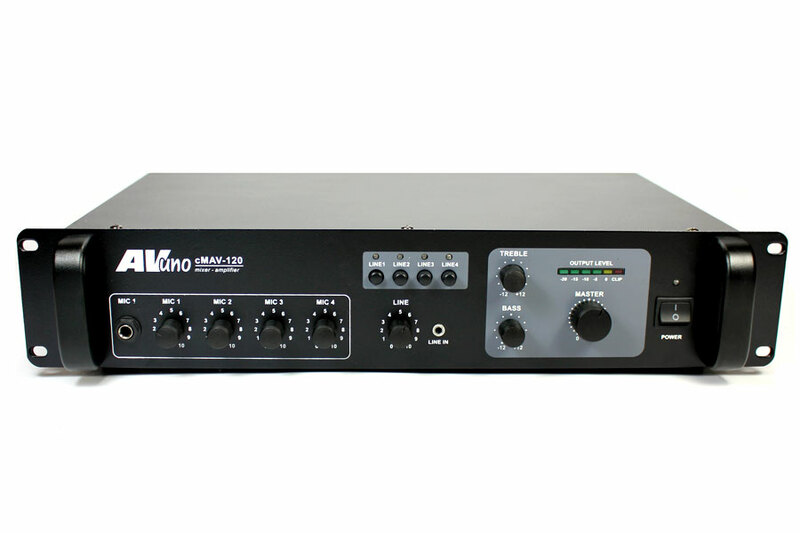 The cMAV-120 is a high quality 120 Watt Mixer Amplifier designed primarily for use in commercial applications. 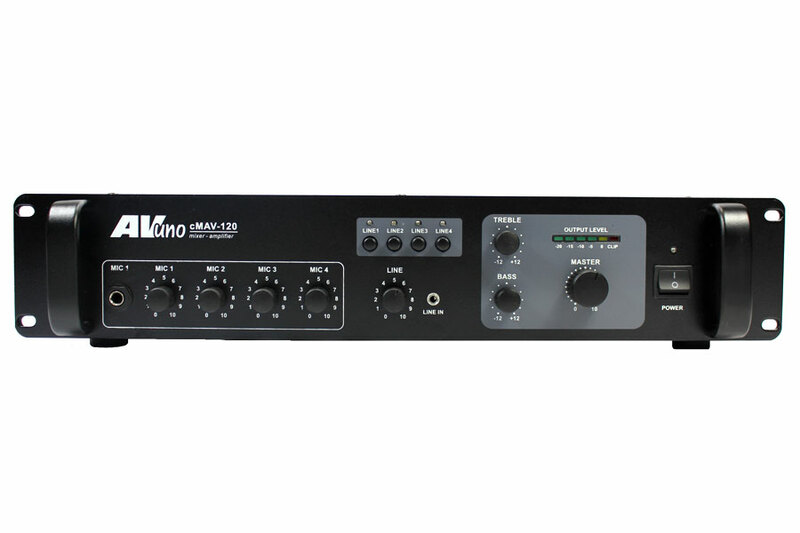 There are 4 Microphone inputs with input gain controls on the rear, and front panel volume controls. 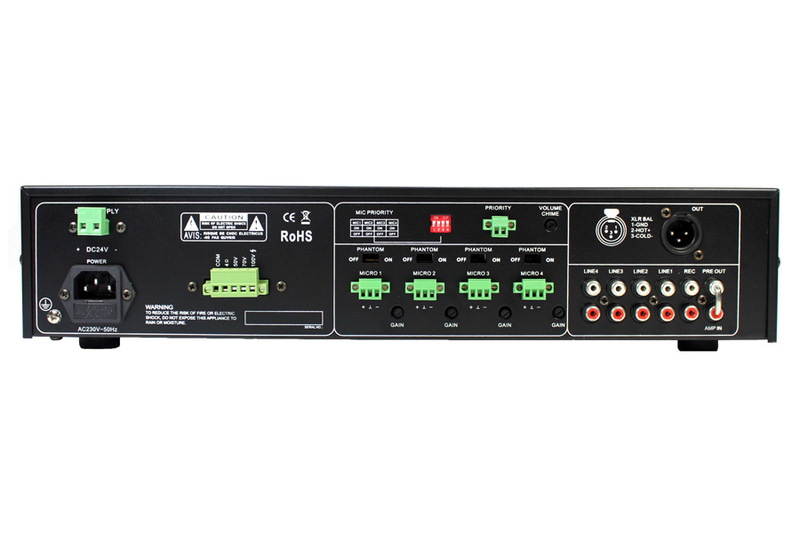 The Line section provides for 5 separate inputs - 4 on the rear panel via RCA phono connectors, and an additional input on the front panel via 3.5mm jack plug, designed to facilitate music players. Outputs are via multipin euroconnector on the back panel. 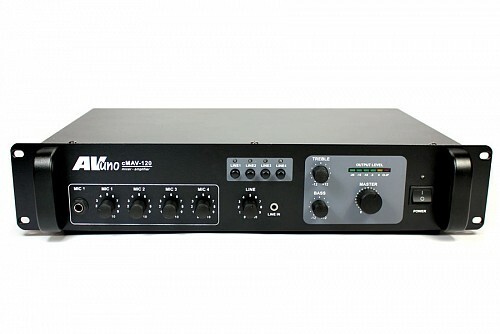 Connections are provided for 4 Ohm, and 50/70/100V line loads. 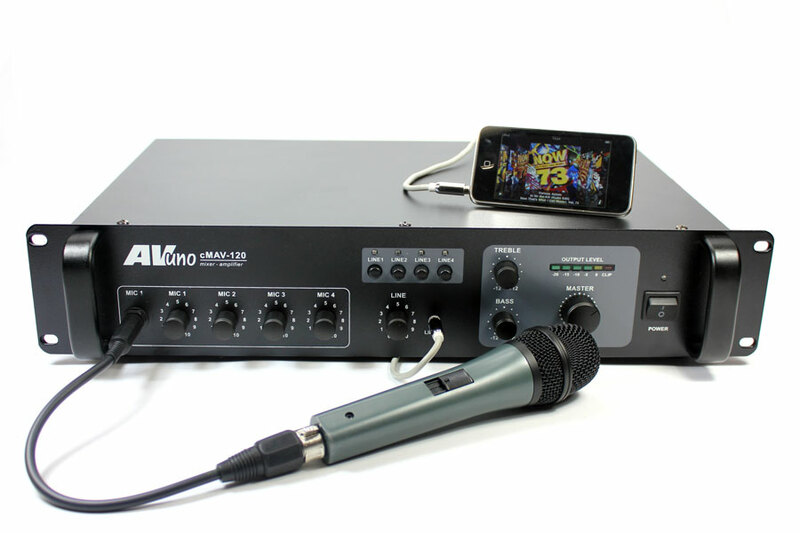 Connections are also provided for recording, plug in of processing equipment between Pre-amp and Power amp sections, and output to slave amplifier.